Intense physical activity, such as rugby, takes a lot out of your body and if you want to recover quickly, you need to start repaying that debt as soon as possible. A game of rugby will leave you dehydrated and glycogen depleted – glycogen being your carbohydrate reserves. Until you have replaced lost water and glycogen, you cannot consider yourself recovered. In fact, even if you rest, sleep, take ice baths or use compression wear, you will not recover until these essential resources have been replenished. Dehydration has varying effects on performance but it’s safe to say that your body functions best when properly hydrated. Because of the nature of the game, it’s very hard to stay hydrated during rugby compared to something like a gym-based workout. In rugby, breaks are infrequent, and water consumption is often limited to half-time. Subsequently, you may end your game very dehydrated. There are several indicators of hydration including thirst and dark-colored urine, however, the best way to see if you are dehydrated is to weigh yourself before and after the game. One liter of water weighs one kilo or 2.2 pounds. If you are two kilos (4.4 pounds) lighter at the end of your game than you were at the beginning, you have lost two liters or around 3.5 pints of water. Rehydration should start as soon as the final whistle ends but don’t think that gulping down as much water as you have lost will rehydrate you instantly. Your body can only absorb limited amounts of water at a time, so your rehydration requires a more prolonged approach. Instead, you’ll need to increase your water intake for several days to fully rehydrate. Also, you have lost more than just water. When you sweat, your body excretes minerals called electrolytes. Electrolytes are also known as salts. Sodium, calcium, potassium, chlorine, phosphate, and magnesium are all electrolytes and play vital roles in many bodily functions. Cramp, for example, is often due to an electrolyte imbalance. For that reason, you should consume not only plain water but electrolytes too. These can be found in many sports drinks and in powder form that can be added to your favorite drink. You’ll know when you are rehydrated as your urine output will be clear, non-odorous, and copious. Your weight will also return to normal. To minimize dehydration, make sure you are well hydrated at the start of each game and training session. Some rehydration methods are better than others, read our primer on rehydrating rugby players for more on this. Glycogen is the primary source of energy for your muscles during rugby. As we’ve explained in our detailed analysis of rugby game-day nutrition. The harder and longer you play, the more depleted your glycogen levels will be. The size of your initial stores depends on your body size, your diet, and your training experience. Fitter players who are used to hard training usually have larger glycogen stores. Depleted glycogen levels will leave you feeling tired and are also believed to be a contributing factor in DOMS. To recover fully, you need to replenish lost glycogen as fast as you can. 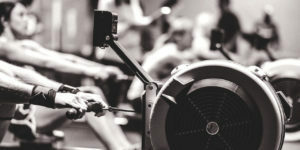 Intense exercise increases your ability to synthesize glycogen from carbohydrate. This is called increased insulin sensitivity and describes how, after your game, your body is very good at converting the carbohydrates you eat into glycogen. To replenish your glycogen stores, as soon as possible after the final whistle, you should consume a source of easy-to-digest fast-acting carbohydrate. A carb-based sports drink is ideal. This will make the most of your increased insulin sensitivity and kick start the recovery process. You should aim for one gram of carbohydrate per kilo of body weight within two hours of the end of the match to maximize recovery. In the hours that follow, you should continue to consume good quality carbohydrate foods – bread, rice, pasta, bagels, cereal, etc. Your goal is to consume 7-10 g carbohydrate per kilogram of body weight over 24 hours. This means that all your meals over the next day or so should contain reasonable quantities of carbs. 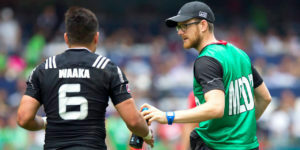 Although a post-game beer is a very common way to celebrate winning result or commiserate a loss, it’s important to note that excess alcohol consumption may impair both rehydration and glycogen replenishment. Alcohol is a diuretic that increases urine output, and while it is a form of carbohydrate, alcohol is not easily converted to glycogen. If you do drink beer after your game, do so in sensible moderation. Whey protein – rugby is a catabolic activity which means it causes muscle breakdown. Repairing this damage requires protein. Whey protein is rapidly digested, so it gives your muscles what they need as soon as possible. Because it is mixed with water, it is easy to consume immediately after your game and any other time that solid food may be inconvenient. Branch chain amino acids – the branch chain amino acids are leucine, isoleucine, and valine and make up 70% of muscle tissue. These amino acids are heavily catabolized during intense activities like rugby. Consuming a post-workout formula immediately and during the days after a tough game will help your muscles recover faster. They may also reduce the severity and duration of delayed onset muscle soreness. Glutamine – glutamine is the most abundant amino acid in the body and as such performs several vital functions including growth, repair, and recovery of muscle mass. Glutamine also plays a key role in the replenishment of glycogen stores. Fish Oils – fish oils, from the omega three fatty acid group, are naturally anti-inflammatory and can help reduce post-match muscle and joint pain. The regular supplementation of fish oils can also improve heart and brain functionality. 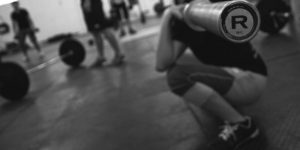 Creatine – creatine is a very popular, well-researched and cheap supplement that plays a vital role in the production of energy within your muscles. Supplementation with creatine can increase your energy reserves and enhance recovery. Add 5 grams of creatine to your post-match carb drink to kick start recovery. ZMA – comprising of zinc, magnesium, and vitamin B6, ZMA is a safe sleep aid that also increases anabolic hormone production. L-Arginine – this isolated amino acid is an effective vasodilator that opens blood vessels allowing more oxygenated blood to enter your muscles. It’s a common base for many different no2 boosters. This will enhance recovery by flushing out lactic acid. 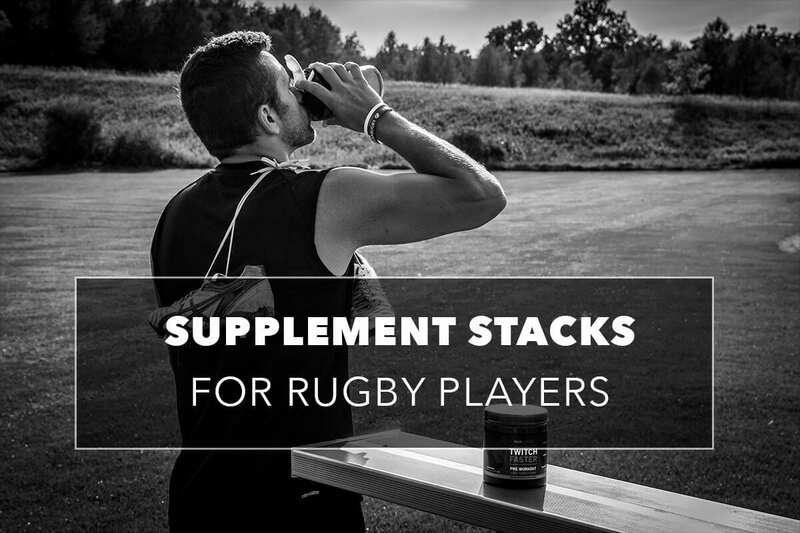 While these supplements can be beneficial, they should only be considered supplementary to and not a replacement for adequate rest, proper nutrition, and other more active forms or recovery.